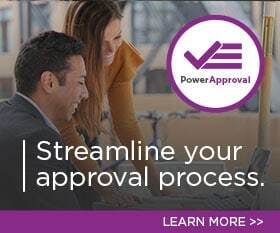 Home Flow Using Flow to Build an Approval Process Be the first to comment. “Can we give a discount to a new prospect”? In our organization, if we have opportunities where the estimated revenue is greater than a certain value (e.g., $300,000) and the prospect is ready to buy immediately, our process calls for sending one of our best salespersons to close the deal. Depending on the type of prospect and their needs, we may want to send someone different each time. So, when there is a need for choosing who should be assigned to an opportunity, we can use “custom responses” within the Flow approval mechanism to automate this process. In our Flow, we first set a couple of conditions that need to be checked each time an opportunity is updated: is the opportunity’s estimated revenue greater than $300,000 and is the purchase timeframe “Immediate”? If the answer to both is yes, we need to initiate the approval process. We will choose the Start and wait for an approval (v2) step and choose Custom Responses – Wait for one response (Premium) option. This gives us the ability to add our own responses to our approval email instead of just approve/reject. In our case, it’s the approver, one of the salespeople, or all three who can go to close a deal, depending on the type of deal involved. To add custom responses, we just click Add new item and add the required number of responses. The person in the Assigned to field gets the email from the approver. In the body of the email above, you may notice that some of the words have special characters around them Those are called markdowns, and they are used to format the text in an approval email in a certain manner. For example, ** is used for bold text, ## is for H2, etc. To see a complete list of markdowns, see this article. Now, whenever an opportunity is updated, if the conditions set in this Flow are met, an email goes out to the approver that looks like this. Notice the nicely formatted text within the email: Header 2 for opportunity topic (“Fungus Farm Northern Iowa”) and the other bolded labels. So, there you have it! A simple Approval Flow with custom responses that can not only automate your approval process but also make it more meaningful to the type request that’s being addressed. Try it out and tell us how you are using it in your organization! Don’t forget to subscribe to our blog! by Joe D365	April 5, 2019 Be the first to comment. January 2, 2019 Joe D365	Flow Be the first to comment.